A member of Hamas' military wing was killed at dawn on Sunday in the Gaza Strip, the brigades announced, saying he was conducting a militant operation at the time. Mohammad Abdullah Hamad 22, from al-Nusierat refugee camp in central Gaza, was taking part in an "important jihadi mission," the Al-Qassam Brigades said in a statement. They did not disclose further details. 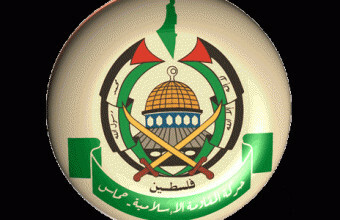 The Al-Qassam Brigades, the armed wing of the Hamas movement, reported that one of its fighters was killed, on Sunday at dawn, in what it called “a Jihadist mission”. The Brigades identified the fighter as Mohammad Abdullah Hamad, 22, from An-Nusseirat refugee camp, in the central Gaza Strip. It is worth mentioning that several Palestinian fighters of different resistance groups in Gaza died accidentally died during training or while preparing to attack Israeli military targets across the border. Israel also assassinated dozens of fighters under the pretext that they were planning to attack Israeli targets. 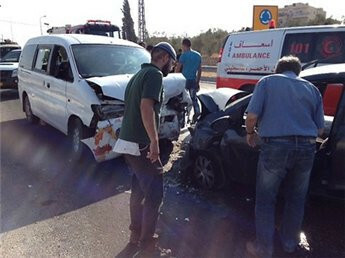 One man was killed and another injured on Sunday in a car accident in Jenin, medics said. 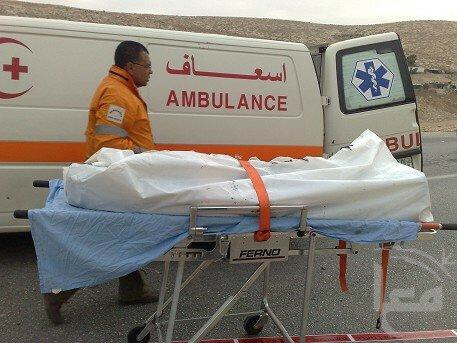 Muhammad Samir Abbadi, 22, was killed when his vehicle flipped over in the village of Yabad, Red Crescent sources told Ma'an. Muhammad Shawqi Abbadi sustained light injuries in the accident and was taken to a Jenin hospital for treatment. The Palestinian government in Gaza considered Baghdadi family's tragedy, where a 3-year-old child was killed and two relatives seriously injured in a house fire on Wednesday, as a message to the Arab and Islamic nation to end the siege and power crisis in Gaza. 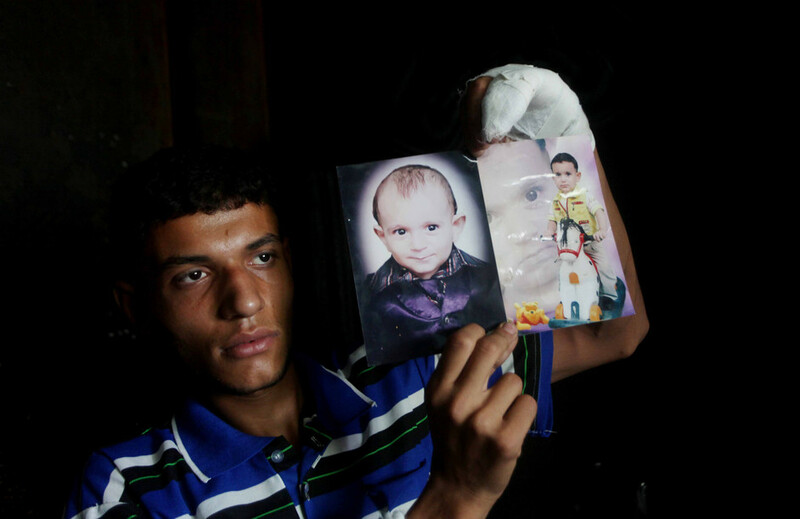 Taher al-Nunu, a spokesman for the government, mourned the child Fathi, and wished a speedy recovery to his father and his baby sister, calling on Egyptian authorities to speed up the implementation of its promises concerning Gaza power file. The Palestinian government in Gaza has considered the international community's silence towards this situation as a participation the siege imposed on Gaza. The Gaza Strip suffers from a power crisis for years, where the average home receives eight hours of electricity each day. A 3-year-old child was killed and two relatives seriously injured in a house fire on Wednesday in al-Bureij refugee camp in Gaza, medical officials said. Fathi al-Baghdadi died and his father and sister were injured when a candle in their house caused a fire during a power failure in the coastal enclave, spokesman of Gaza health ministry Ashraf al-Qidra told Ma'an. A man was killed and two others injured when a smuggling tunnel under the Gaza-Egypt border collapsed on Wednesday, medical officials said. Suleiman Ramadan al-Masri, 20, died and two men were moderately wounded when the Rafah tunnel collapsed, spokesman of Gaza health ministry Ashraf al-Qidra told Ma'an. Both injured men were transferred to hospital. Last Saturday, Muhammad Ramadan Abu Armaneh, 33, died when a Rafah tunnel collapsed on him. In early September, Talib Udwan, 24, was killed in a similar incident. Medics say over 160 Palestinians have died in the network of underground tunnels since Israel imposed a siege on the Gaza Strip in 2006. Egypt started closing the tunnels after an Aug. 5 attack in Sinai when gunmen killed 16 Egyptian soldiers. Egypt suspects the tunnels were used by some of the militants. Hamas says no-one from Gaza was involved in the attack. Maher Al-Tabbaa, a Gaza-based economist, said last week that 30 percent of Gaza's goods come from the tunnels. Tunnelers say 80 percent of food sold in Gaza comes through the tunnels. "If tunnels are closed there will be a complete collapse in Gaza. It would suffer an economic catastrophe," he said. 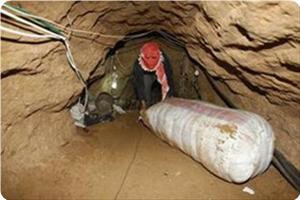 The tunnels have been used to import anything from food to construction materials, fuel and cars, and militants have also used them to import munitions used to attack Israel, which has targeted some of the tunnels with air strikes. A Palestinian teenager was killed when his motorcycle collided with a car in the central Gaza Strip on Saturday evening, police said. Jamal al-Khatib, 17, died in the crash, and another 17-year-old was wounded in the accident, which took place in Deir al-Balah refugee camp, police said. A Palestinian worker, on Saturday evening, died and another was wounded when a tunnel collapsed in Rafah, in the southern Gaza Strip. Medical sources told the PIC correspondent that Ramadan Abu Ermanah (32 years) died and M.J (23 years) was injured in the collapse of a tunnel they were working in Salam suburb east of Rafah in the southern Gaza Strip. 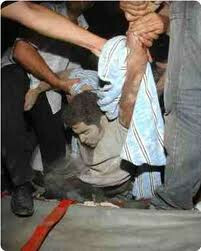 More than 200 Palestinians died in tunnel accidents since the start of the siege on Gaza in 2006. One man was killed and three people injured in a car accident near Hebron on Monday, medics said. Iyad Ahmad Mahmoud Shawamreh, 30, was killed in the crash and Rafat Nayef Shawamreh, 28, Osayd Nawwaf Shawamreh, 20, and another relative were injured, a Red Crescent official said. 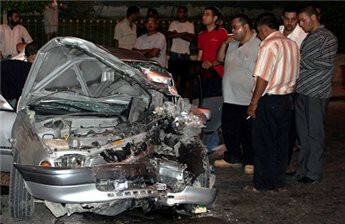 Two Palestinians were killed in separate accidents in the Gaza Strip on Saturday night, medics said. Jihad Abu Daqa 50, from the town of Abssan in south Gaza, died immediately from an electric shock while operating a generator, doctors said. A 17-year-old was also killed in Rafah, and another injured, when a car collided with a motorbike, they added. Three Palestinians were taken to hospital after a fire broke out in a restaurant in the northern West Bank on Sunday, the emergency services said. 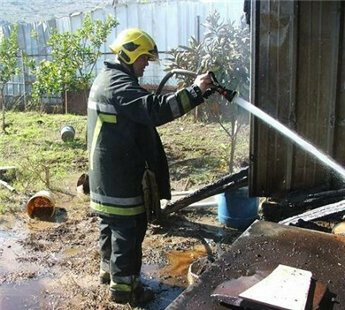 The group suffered burns and smoke inhalation after a fire swept through the restaurant in central Salfit, a statement from the civil defense said. The crew believes the fire was caused by a gas leak in the kitchen. A man was killed in a road accident in a north Jerusalem village, Palestinian police said Friday. Waleed Asad Jaber 59, was run over while he was crossing the road in Biddu village, according to a police statement. Two others were wounded and taken to hospital, while the driver of the car was detained. An 18-year-old drowned off the coast of Gaza City, the Health Ministry said Thursday. Iyad Fayez Hjair was reported missing on Wednesday night. 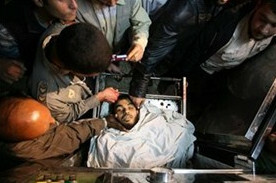 His body was found near the Marine Club south of Gaza City on Thursday, ministry spokesman Ashraf al-Qidra told Ma'an. Medics transferred Hjair's body to Shifa Hospital. A 14-year-old was injured in Gaza City Thursday after accidentally shooting himself, the Ministry of Health said. Ministry spokesman Ashraf al-Qidra said the teenager, from al-Rimal neighborhood, shot himself while playing with a gun. 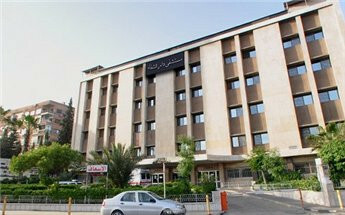 He is in a moderate condition in Shifa Hospital, al-Qidra said. A four-year-old child was seriously injured in Qalqiliya on Tuesday after being hit by a car, police said. The child was knocked down in the village of Jayyus and immediately taken to hospital. Police said the child is in a critical condition. The driver of the vehicle was detained. 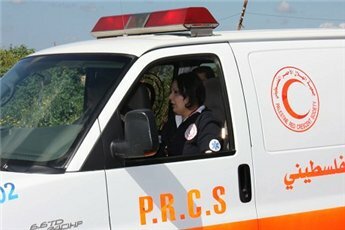 A settler was killed and five Palestinians injured in a car accident near Herodion, Bethlehem on Monday, medics said. 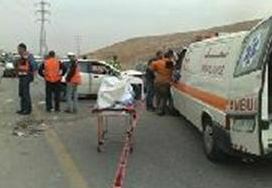 Director of ambulance services in Bethlehem Abdul Haleem al-Jaafreh told Ma'an that five family members were injured in the collision with an Israeli car. A 60-year-old Israeli settler was killed in the accident and another severely injured, al-Jaafreh said. The Palestinian Red Crescent transferred the family members to a Bethlehem hospital while the injured settler was taken to Hadassah hospital in Jerusalem. A child was killed in Gaza on Friday after being hit by a car, traffic police said. Thaer al-Tawil, 3, was instantly killed after being struck by a car in front of his home in the central Gaza Strip, traffic police official Fahed Harb said. An investigation is underway to find out the cause of the accident. 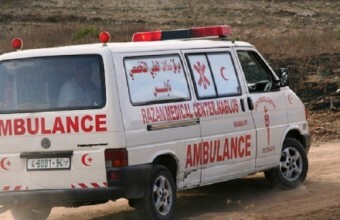 An 8-year-old boy died late Wednesday after a car ran him over in the central Gaza Strip, medics said Thursday. Abed al-Rahman Abu Khosa, 8, was killed, and his mother was seriously injured and transferred to hospital, medics told Ma'an. A man from the Gaza Strip was killed and another was seriously injured when a smuggling tunnel under the Gaza-Egypt border in Rafah collapsed on both sides Tuesday. Spokesman of the Hamas-run government’s ministry of health in Gaza Ashraf al-Qidrah told Ma’an that civil defense had difficulties pulling out the body of 24-year-old Talib Udwan and an injured man whose identity was not clear. Eleven Palestinians were wounded in car collisions in the southern West Bank district of Hebron on Saturday, medical officials said. 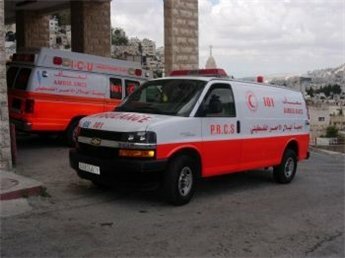 A Palestinian car swerved to avoid a vehicle driven by Israelis on a main road by Hebron, injuring five people, Red Crescent disasters unit spokesman Nasser Kabbajh said. Ahmed Jamal Hmeidat, 27, Osama Ibrahim Hmeidat, 22, Mubarak Ibrahim Hmeidat, 40, Yusuf Attef Harajheh, 26, and Nader Ibrahim Hmeidat, 37, are all receiving treatment in al-Mezan hospital, he said. Meanwhile, another five Palestinians and two Israelis were injured by a separate collision near Beit Einun village at the eastern entrance of Hebro, Kabbajh added. Iman Yasser Obeid Harahsheh, 35, Atheer Yasser Obeid Harahsheh, 9, Nasser Mousa Obaid Harahsheh, 34, Taghreed Suleiman Mousa Obaid Harahsheh, 35, and Fareda Obaid Harahsheh, 45, were all transferred to al-Ahli hospital, he added. Separately, 12-year-old Muhammad Ibrahim Meghnem was hit by a car in Hebron, and taken to al-Ahli hospital with head injuries. The driver of the car fled, eyewitness told Ma'an. 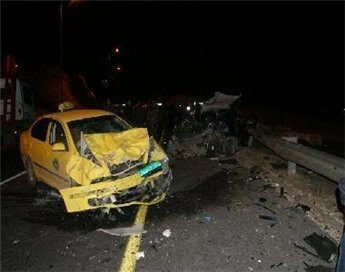 Fourteen people were injured Thursday in a car crash between Nablus and Ramallah, medics said. The injured were taken to Palestine medical complex in Nablus and treated for moderate injuries, Dr Ahmad al-Betwi said. Palestinian Authority health minister Hani Abdeen was in Nablus at the time and headed the medical team that provided treatment. 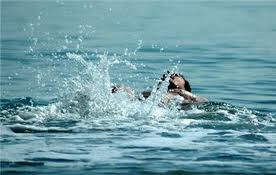 A boy drowned on Friday in a swimming pool east of Salfit, police said. Nabil Muhammad Subhi Shlair, 11, was pulled out of a swimming pool in the village of al-Zawiya but died before arriving at hospital, a police statement said. A man was killed in Nablus on Saturday when a bulldozer collapsed on him, police said. Bassam Khalil Ibrahim Rizq, 48, was working in a stone quarry south of Nablus when the accident happened, a statement said. A four-year-old girl died on Friday morning after she was hit by a car near Hebron, police said. Shahid Jalal Sweiti was rushed to intensive care after the vehicle crashed into her in Beit Awwa, west of Hebron, but he later died of her injuries, police said in a statement. Police investigations found that the driver does not have a driving license, and was driving an illegal car. A 38-year-old Palestinian man was found dead by Israeli police in Lake Tiberias in northern Israel on Friday, according to press reports. Israeli rescue teams retrieved the body of the man, from East Jerusalem, after he had drowned while fishing, Hebrew-language daily Yediot Ahronoth reported. A man was found dead on Tuesday off Gaza's coastline, a civil defense spokesman said. 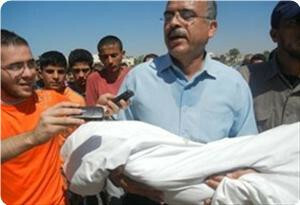 The body of Mahmoud Azza, 18, was found by civil defense crews late on Tuesday, spokesman Ashraf Abu al-Nar said. Azzam had been reported missing earlier in the day, al-Nar added. 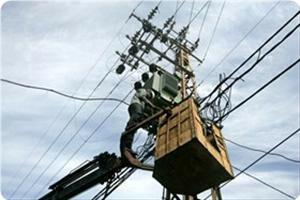 A man died in Gaza on Monday after being electrocuted in his home, medics said. 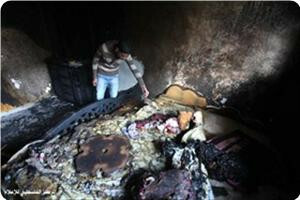 Shaher Abu al-Ata, 37, suffered an electric shock in the Ash Shujayeh neighborhood of Gaza City, medics said. He was trying to connect an electric wire to an electricity pole and was pronounced dead upon arrival at Shifa hospital. 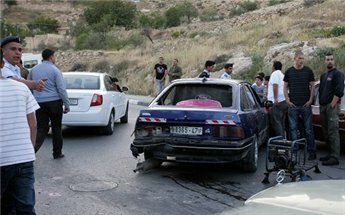 One man was killed and four others injured in a car accident south of Nablus on Monday, police said. Ahmad Tamam from Tulkarem was killed when a taxi collided with a truck on the Huwwara road near Nablus. Four others were injured, with two said to be in a serious condition. Emergency crews arrived at the scene and evacuated the victims, who were transferred to hospital. The military wing of the Hamas movement said Friday that one of its members had been killed a day earlier in the Gaza Strip after an explosive device mistakenly detonated. The Al-Qassam Brigades said Majed Zaki Al-Kahlout, 40, from Jabalia refugee camp in the northern Gaza Strip, had died on Thursday. The accident took place in Jabalia, the brigades said. A Palestinian boy drowned Wednesday in a farm pond in the town of Deir al-Balah in the central Gaza Strip, a health ministry spokesman said. Ashraf al-Qidra said 10-year-old Ibrahim Abu Mehrab's body was transferred to hospital.